Take some fashion cues from every night owl’s summer anthem song! Have you listened to the latest single by Robert DeLong? If you’ve spent many a night unable to shut your mind off, “Don’t Wait Up” may speak to you. Whether you enjoy electronic music or not, we’ve got several outfits that’ll inspire you for upcoming summer nights! This outfit is pretty laid-back and is actually inspired by what Robert is wearing in the music video. Although, as I sat writing this in 90 degree heat, I couldn’t even bear to make a look with long sleeves, so I created a sleeveless version for you. 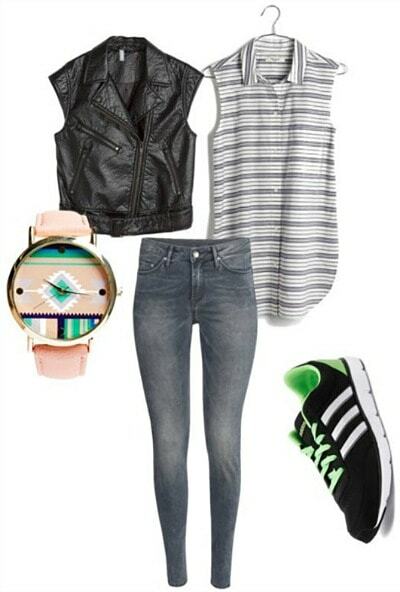 With lime green sneakers and a fun printed watch, you’ll still have a touch of that cool, desert style. Grab staple pieces, such a striped button-down, a faux leather vest, and your favorite skinny jeans, and you’re set! Hey, remember that desert style I was talking about? For this next look, go all out with that theme and get dressed up like you’re heading to Coachella. A printed maxi dress paired with a crochet duster will keep you stylishly cool (both literally and figuratively!). Don’t forget your hat to keep the sun out of your eyes, and a fringed bag to hold all your supplies. Finish off with lace-up gladiator sandals and you’ll wandering the desert in style! 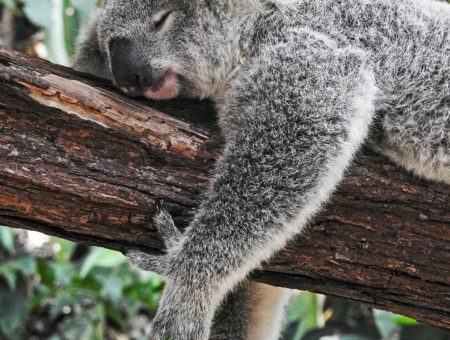 Can’t get any sleep? Why not get all dolled up and go find some other restless souls? For this look, get inspired by the markings that develop on Robert’s face throughout the music video. Green stripes get a fun twist with an intricately printed dress. Play up the green hue with a matching pair of wedges. Add your favorite clutch and silver jewelry, and you’ll be ready to stay out ’til the sun comes up. What did you think of this music video? 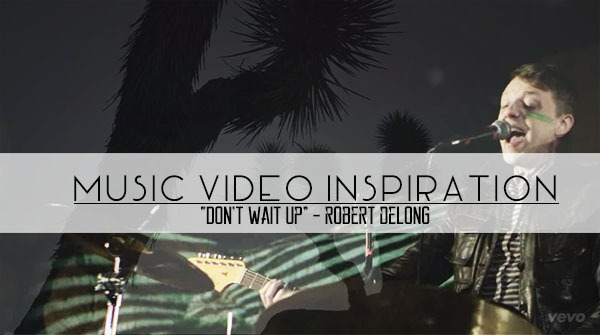 Have you heard of Robert DeLong before? Which of these outfits is your favorite? Let us know your thoughts in the comments below!